Denmark is an incredible nation with best settings for individuals and families to live and work peacefully. It ranks very high as a nation on various international parameters of a livable place. It is ranked as the happiest country in the world in the latest Happiness Report 2016 by SDSN. It means a lot for you especially, if you are planning to get the Danish Green Card. The Danes are considered the happiest people on the planet. So, it’s the country, where anyone would like to live. If you wish to settle in this wonderful country, Danish Green Card would be the right option for you. Let’s explore more about Danish Green Card from India. What is Danish Green Card visa? Danish Green card visa allows the skilled workers from all parts of the world to come and work in Denmark. Denmark also has got the point based immigration system like Canada, Australia, etc. countries. If you are able to score minimum 100 points based on your five key profile aspects, i.e. Language Proficiency, Age, Education, Work Experience, and adaptability, etc. 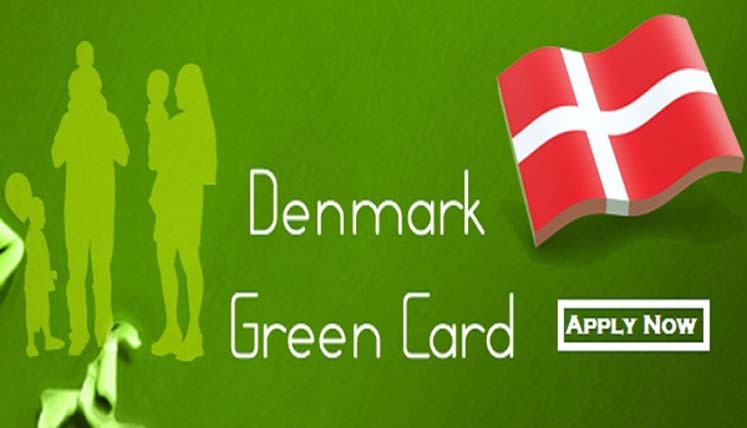 you will get the residence permit to seek work or to work in Denmark under Danish Green Card Scheme. What are the key benefits of Danish Green Card Visa? Will get the benefit to travel across all countries of the Schengen Zone without displaying a visa for the visit. Will be able to apply for permanent residency if you fulfill certain conditions. And your family members can live, work and study (fulltime) in Denmark. How to Apply for Danish Green Card Visa from India? If you wish to get the residence permit in Denmark under Danish Green Card Scheme, first of all, you would require creating Case Order ID online and then submit the essential fee and other requisite documents, etc. the key initial steps include checking the Denmark Positive List and also the Danish Green Card points calculator that tells you whether you are eligible to apply for the Danish Green Card or not. It is indeed quite essential to know whether you qualify for the Danish Green Card or not. Moreover, to apply accurately following the defined, process it is advised that you apply under the supervision of the Denmark visa and immigration Expert. How to take the first step for Danish visa? Your path to get Danish visa can be relatively easy, if you take the first step right. To start the process, you can click on the free assessment form, so that an expert at Visas Avenue can call you back and make you understand the whole procedure. Subsequently, you will be assisted completely in following the procedure and apply for the desired Danish Visa. The key immigration consultancy services you will receive are, creating online Case Order ID, assessment of application, form filling, visa filing, documentation assistance, and follow up with the authorities for the approval of the visa. You may also fix a free appointment with the Danish visa and immigration expert calling at, 011-48447777/ 080-46668222.